Image is calling this Image Firsts. 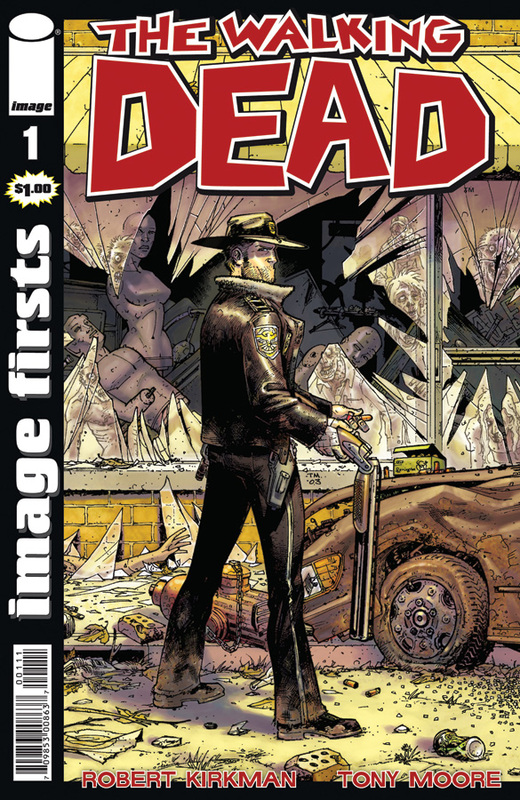 Which will be reprinting the first ever Walking Dead comic and selling it for just $1.00. 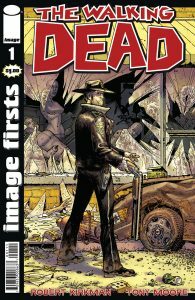 The 2nd printing will include a 40-page black-and-white book reprinting the first issue of the ground-breaking series, plus a 12-page bonus section featuring full-color images from the AMC television series and will be in stores October 6, 2010. Just $1.00. Now if you want an original one from the year 2000. You are lucky to find it for as cheap as $100.00. Click HERE to goto the Boomstick Comics webstore of everything Walking Dead. This entry was posted on Thursday, September 9th, 2010 at 4:10 pm	and is filed under Comics. You can follow any responses to this entry through the RSS 2.0 feed. You can leave a response, or trackback from your own site.